On October 1st the parent company of Macola, a business software company for manufacturers and distributors, announced that it would discontinue its partner channel. This would force Macola users to turn to the software publisher for future upgrades and software support. In response to this action, which has been called a breach of contract, thirteen of the Macola resellers who have had their value-added reseller contracts terminated by Macola have filed a lawsuit against the software company. Notwithstanding the legal battle that Macola and its parent company now face, it will be a tall order to maintain the service level enjoyed by Macola users – without the support of dedicated partner channel. By terminating its partner network, Macola underestimates the important role software partners play in the continued success of their customers. Whether you call them VARs, software resellers, or IT consultants, there’s a much value to be gained from a partnership with an IT professional services company that sells, implements, and supports your business management solution. From Vision33’s standpoint, its enterprise resource planning (ERP) service offering including software implementation, customization, and comprehensive customer support through the SAP channel partner program has been a hallmark of the Vision33 customer experience. The true value of business management software like ERP solutions can be achieved when local resources come to understand your unique business processes and how an enterprise solution can be leveraged to best meet your needs. One alternative to Macola, is SAP Business One from financial systems leader SAP. For businesses that run SAP Business One, the SAP partner channel that supports them remains healthy and active to this day; influencing the development of SAP Business One on behalf of the manufacturers that use the solution to run their business. SAP channel partners network continues to play a key role in helping growing manufacturers and distributors just like yours succeed. Every day these certified experts help SAP Business One customers of all sizes – across all industries – transform and run their businesses more simply. They can help you identify, buy, build, implement, service, support, and run the SAP solutions that best fits your business’ unique needs. How Does an SAP Partner Like Vision33 Benefit Your Business? Vision33 is part of an ecosystem of over 13,000 SAP partners with the shared goal of helping SAP solution users get the most out of their technology investment. If you’re considering migration from the platform to a scalable ERP solution, like SAP Business One, purpose-built for manufacturers here are a few of the benefits you stand to gain from partnering with a world-class SAP partner like Vision33. Local Partner Support: When it comes to the technology that runs your business, there’s no substitute for speaking in-person with the consultants that will carry out your critical implementation and assure your business is in good hand. You need a partner nearby that understands your local market, speaks your language, and can easily navigate local nuances and regulatory environments. Built Just for You: Out of the box, SAP Business One is a single, integrated ERP solution that provides clear visibility into your entire business and complete control over every aspect of your operations. It captures all critical business information for immediate access and use companywide. Unlike accounting packages and spreadsheets, it delivers what you need to manage your key business areas. Knowing that It would be impossible for SAP to reach every customer and serve every unique business need alone, SAP partners like Vision33 play such a critical role. We build, extend, customize and enrich our technology platforms to deliver innovative and tailored solutions that meet the exacting needs of customers all over the world. Vision33 brings the largest team of certified consultants and professionals with decades of experience with SAP Business One to provide additional customizations needed to deliver a solution that offers value today and in the future. Product Certified Service: Although Macola may cite keeping a closer eye on its software users by directing you to them for service, this point it mute if you are running SAP. That’s because SAP partners like Vision33 must adhere to stringent requirements across all areas of business operations, solutions, and services. Add to that, Vision33’s recognition by SAP as an SAP Pinnacle award winner in the category of Customer Choice and this should give you peace of mind knowing you’re considering a partner that is not only continually monitored and evaluated, but also endorsed by the company. The Right Focus: Unlike many partner programs, SAP rewards and measures its partners on more than just their revenue performance. SAP programs also incent partners on things that matter most to growing businesses; like customer satisfaction, quality, and skills level. This ensures the best possible experience for you since it helps SAP maintain a high caliber of partners and creates a culture that places a strong emphasis on building customer relationships – not on just closing deals. Working with an SAP partner is the smart and simple choice. SAP Business One is not only support by an integral and healthy partner network but SAP also has a transparent and clear product roadmap that outlines development plans well into the future. With the recent release of the next major version of SAP Business One 9.3, businesses saw one of the largest upgrades to the core product with features that have been requested by users. This should be reassuring for users as it’s our belief that you should be able to focus on running your business and not just your IT. Based on Vision33’s coverage of recent SAP Business One enhancements and new features, it’s clear that SAP is not only listening to users’ feedback but that it’s equally considering the product’s future roadmap. SAP is investing in areas that will continue to play a big role in helping users obtain insight into their operations. Of note is SAP’s investment in SAP HANA, its in-memory analytics platform which allows business to run a data platform for the intelligent enterprise to deliver data-driven insights and predict real-time outcomes. SAP HANA offers a clear advantage to reporting with Microsoft SQL. 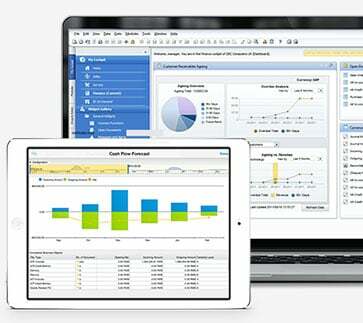 If your business is currently outgrowing Macola ERP, consider your business future business goals. 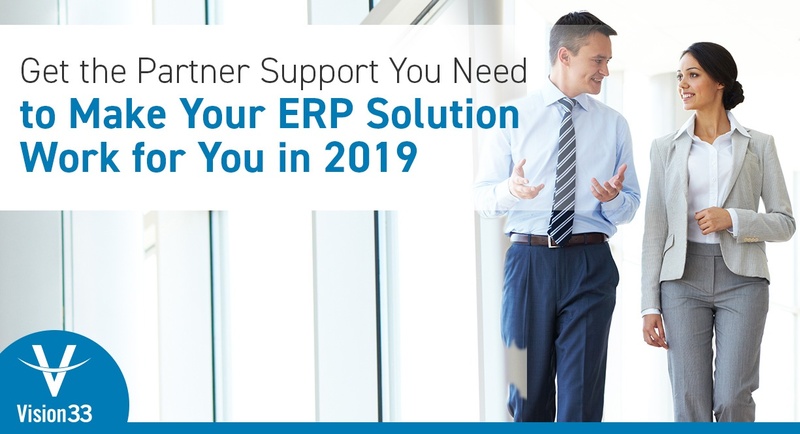 By migrating to a scalable ERP solution with a healthy partner network, your business can support continued growth with a solution that can meet your needs both today and tomorrow. Download our SAP Business One information kit. Inside you’ll find useful resources for your consideration about migration to SAP Business One and how Vision33 can help make the transition beneficial to your company.